This week’s hui on What an Alternative and Progressive Trade Strategy Should Look Like at Auckland University’s Fale Pasifika attracted a remarkable 16,831 pageviews over the two days of live-streaming, according to the hui’s main organiser law professor Jane Kelsey. The hui stressed the importance of trade as a tool, not an end in itself, and as a means of creating relationships that need to be truly an equal and respectful. “There is a strong sense that the kaupapa, objectives and values that underpin New Zealand’s existing approach are out of sync with those of our communities and people. In particular, they fail to recognise the benefits for all from values sourced in te Tiriti o Waitangi and tikanga Maori”, Professor Kelsey said. A theme across the hui’s ten panels was the need for a progressive strategy to combine alternative forms of trade and investment, such as direct relations between indigenous peoples and adding value to our natural resources in an ecologically responsible way, with alternatives to trade rules, such as local procurement to boost small businesses, support local innovation and resilience, and achieving a living wage for workers. As the digital revolution advances New Zealand also needs to build alternatives to digital services dominated by Facebook, Amazon, Netflix and Google – what Bernard Hickey dubbed as FANG. A further priority is to ensure that other international legal frameworks on climate change, health and human rights are no longer be subservient to commercial agreements. “There is a consensus that so-called ‘trade’ agreements need to be pruned back to deal with what genuinely qualifies as trade”, Professor Kelsey said. 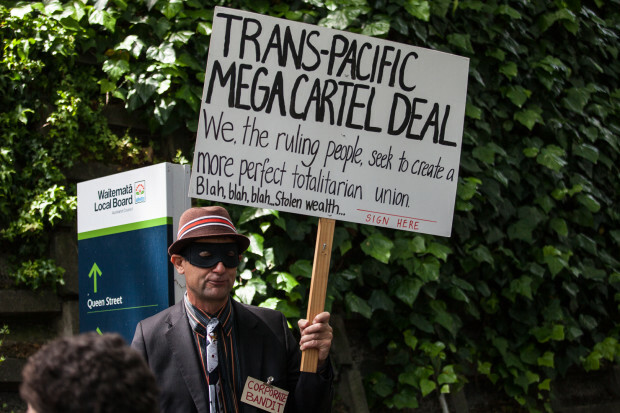 “Overall, the political message from the hui is that Minister of Trade and trade officials won’t get away with a once-over-lightly version of its Trade for All review”. Professor Kelsey announced that “post-hui, we have agreed to set up four working groups to focus intensely on four of the most pressing challenges for the future: climate change, foreign investment, te Tiriti o Waitangi and the digital domain. By harnessing the energy and expertise shown at the hui we aim to pressure the government to adopt a more proactive and progressive strategy that can be genuinely transformative for the future”.